YANGON — Parami Pizza is looking to fortify its restaurant empire with a revamp of its traditional Italian menu with new pizzas, pastas, sharing plates, steaks, desserts, and cocktails at its three Yangon locations. “I am very excited about the new additions as it uses some excellent new ingredients we now have access to,” said Nico Elliott, managing director of Parami owner 57 Below. “The menu showcases the fresh, authentic, home-cooking that an Italian ‘nonna’ would be proud of,” he added. Parami has become the restaurant of choice for the city’s pizza lovers and two new additions to give aficionados another reason to return. 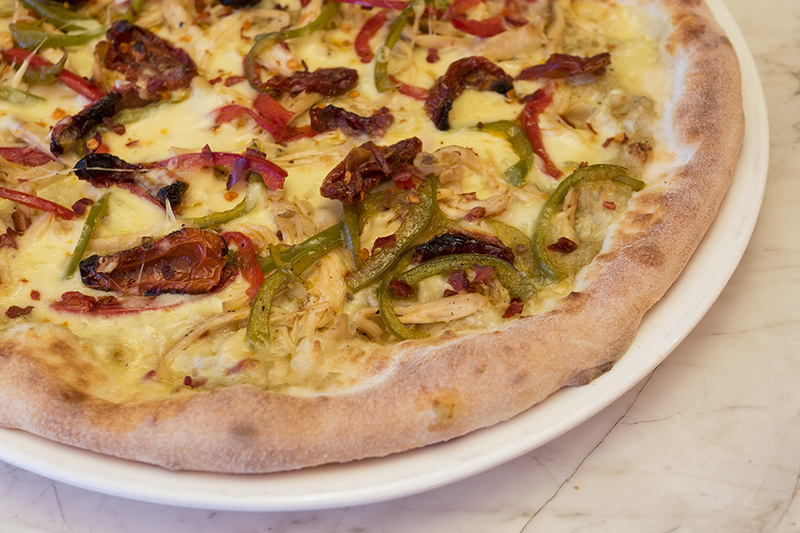 The pollo piccante has a smoky eggplant sauce covered with spicy chicken, cherry tomatoes, sweet peppers and chili. The warm spiciness contrasts nicely to the smokiness of the eggplant and the mellow cheese. 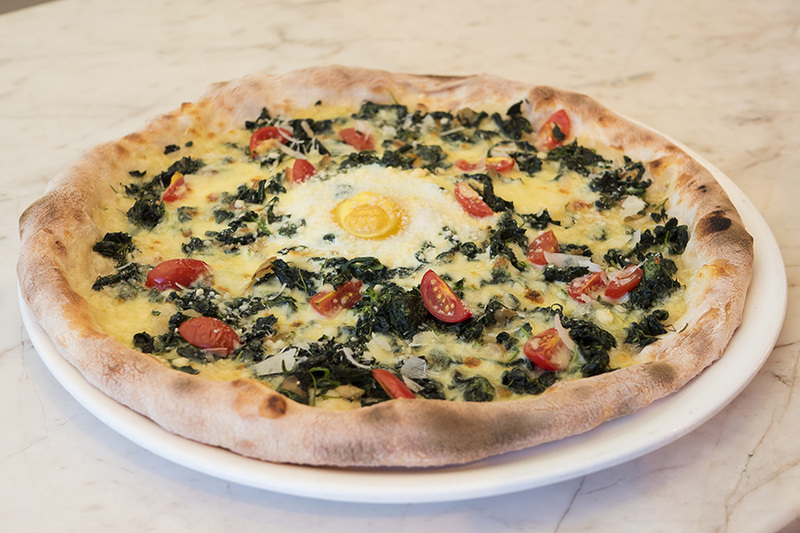 Garlic, spinach, parmesan, and egg top the florentina—another white pizza. (Neither is going to please people who require a tomato sauce on their base, though.) The florentina is Italia comfort food at its best with soft melty cheese and a runny yolk. New to the menu are two carpaccios—one beef, one octopus. It’s a brave move as the success of a carpaccio relies on the quality of the meat or fish. 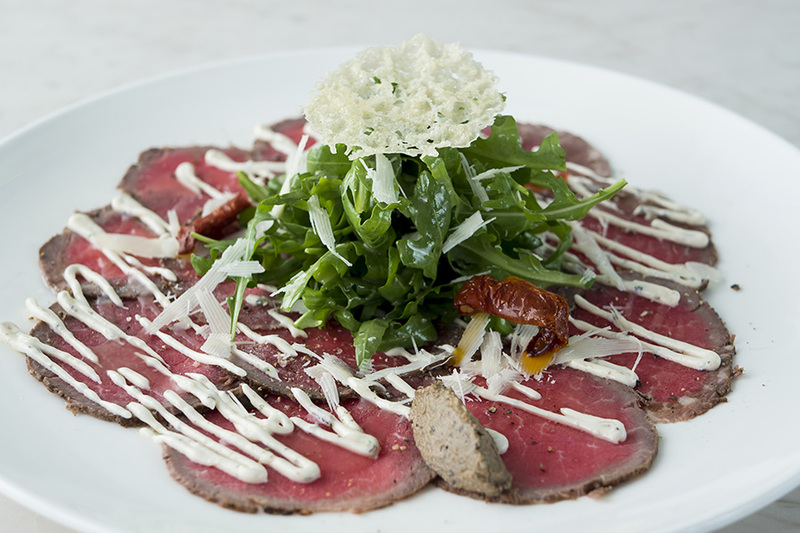 The beef carpaccio is a winning combination of rich yet refreshing raw Australian beef accompanied by a truffle mustard aioili, olive tapenade, and parmesan crisp. The Sicilian octopus carpaccio is less of a success. The citrus-chili dressing overpowers rather than complements the octopus while the addition of pickled carrot jars the taste buds. But, maybe that’s how the Sicilians like it. 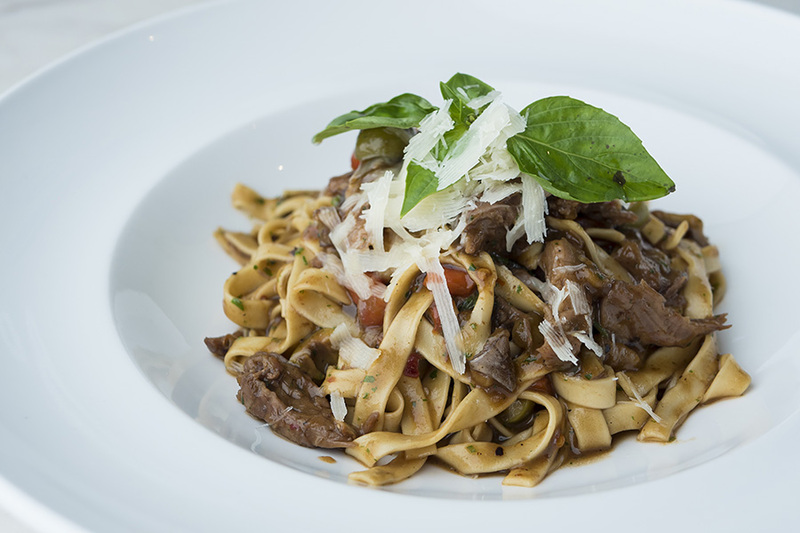 Elliott’s favorite dish is the homemade tagliatelle with Venetian duck ragu. “The authentic flavors remind me of the years I lived in Rome eating in the local trattorias,” he says. Also showcasing Parami’s homemade pasta is the wild mushroom ravioli—rich mushroom parcels served with a parmesan cream and truffle-oil foam. Any of the new items are washed down quite nicely with a cardinale. As Italy’s answer to the Sangria, it’s a refreshing mix of red wine, crème de cassis, and homemade bitters. Oh, and Parami has also added a gluten free pasta option.